Today, she runs her own communications consultancy and lectures in Advertising Creative at The School of Communication Arts at UWS. 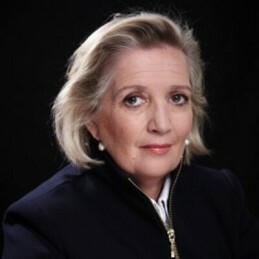 She has published four books; “The Stupid Country: How Australia is Dismantling Public Education”, “The F Word. How we learned to swear by feminism”, “Just a Girl”, “What Makes a Good School?” and “For God’s Sake! An atheist, Christian, Jew and Muslim battle it out”. Jane is sought after as a speaker, MC and workshop facilitator by a wide range of organisations, in both the public and private sectors. She is a weekly regular on Channel 7 Weekend Sunrise and Mornings on Channel 9 and has appeared frequently on ABC’s Q&A, Sunrise, The Project, The Drum and Playbox. She is also a regular panellist on the ABC’s top-rating show on advertising “The Gruen Transfer.” She is a regular on radio and has filled in as host for RN’s iconic “Life Matters”. She remains in high demand by advertising agencies as a freelance writer and her advertising work has won many national and international advertising awards including Cannes, AWARD, London International, ATV, Asia Pacific, One Show, Mobius, Kinsale, and Caxton. Jane is the only woman to have been Chair of Judges of AWARD (Australasian Writers and Art Directors Association) and both Adelaide and Brisbane Art Directors Awards.She has a BA in English Literature from Macquarie University. She writes a regular column in Mt Magazine and contributes articles and oped’s regularly to The SMH, The Drum, The Conversation, Mamamia, The Hoopla and New Matilda. Jane mentors young businesspeople through McCarthy Mentoring. She is on the Boards of Bell Shakespeare and the NSW Public Education Foundation.